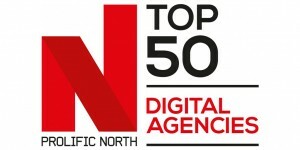 Today we unveil the 2016 edition of the Prolific North Top 50 Digital Agencies, the definitive listing of the North’s largest digital agencies spanning SEO and PPC, web, content, mobile and e-commerce. And the ranking is now firmly established across the North’s marketing services community as the yardstick for the digital sector. Prolific North would like to thank our headline partners for this initiative, search marketing agency Click Consult and hosting company Melbourne, as well as Google and Mustard Research. Melbourne will also be hosting a reception event in partnership with Prolific North for the winners, the agencies who took part in the research and those working in the creative and digital sectors. It’s on Thursday 26th May, from 5.45pm, and will be hosted at Melbourne’s office. Details of how to register can be found here. Working together with Mustard Research, one of the UK’s leading independent research companies, and the financial reporting company fame BVD, we looked at the accounts of over 150 digital agencies which are either based in or have offices in the North, and we also asked the agencies themselves for supplementary financial and related data. The initial long list was ultimately whittled down to the final 50 in this ranking. Agencies were not offered the option to be included or not. Prolific North and Mustard would like to thank all the agencies concerned, whether ultimately included or not, for their time and effort in helping us to compile this unique compilation and we look forward to new agency names joining the ranking next year. In order to secure the full and transparent co-operation of all the participants – not just those where we were able to secure full financial data – we agreed with those agencies filing abbreviated accounts that we would not disclose the financials of any company in the compilation. This allowed these agencies to submit to us accurate information about sales and profits but also enabled them to retain a degree of privacy about their financial affairs. The algorithm employed by Mustard is weighted on turnover, balance sheet and/or shareholder funds, ptp, growth over the past two years and headcount. Our information is not assessed over a given calendar year or period but simply reflects each company’s latest filed information. This does mean of course that an agency’s size and financial performance effectively take precedence over other factors such as expertise or specialisation. Yorkshire agencies once again dominate the higher realms of the ranking – but this time the dominance is even more pronounced. Seven of the top 10 agencies are based in the county, with the number one spot reclaimed from last year’s winners Amaze by Stickyeyes. Amaze still manages a highly creditable second place, but its only other Mancunian native to feature in the first 10 places is Lakestar McCann, at number 10. Visualsoft, from Stockton-on-Tees, come in at number five but the rest of the top 10 is made up of solid Yorkshire granite: Epiphany, twentysix, CDS Digital, Web Marketing Group, Summit Media and Search Laboratory. 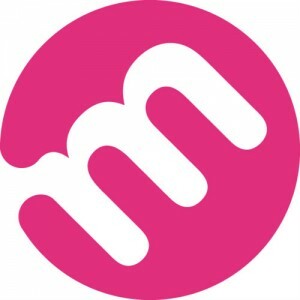 Manchester agencies do put on a better performance in the top 50 as a whole, with 16 agencies calling the city their primary home, compared with Leeds (10), Newcastle (6) and Liverpool (3).